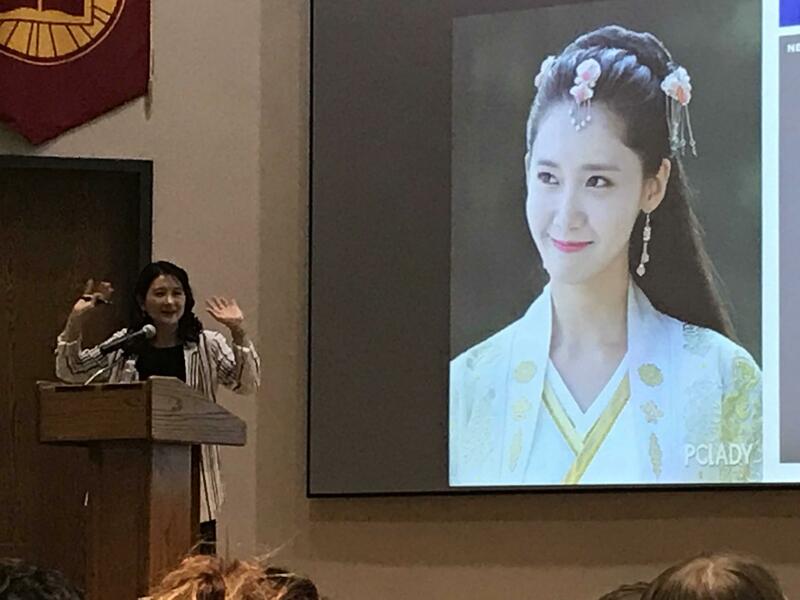 On Tuesday, March 19th the East Asian Studies Program welcomed guest speaker Suk-Young Kim for a talk on the growing appeal of Korean popular culture worldwide. 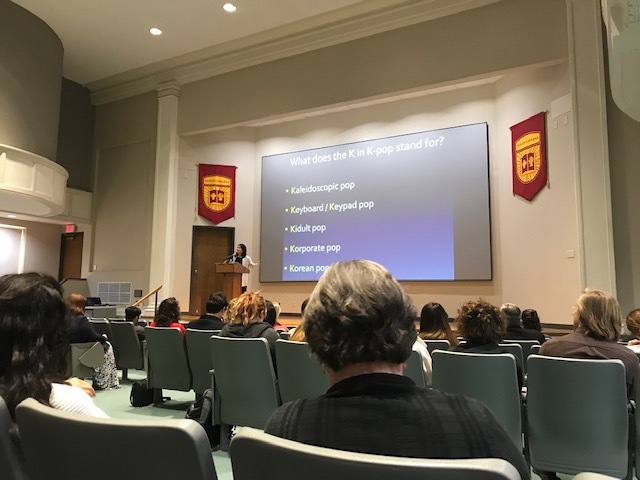 Suk-Young Kim’s talk was held in the Hoxie-Thompson Auditorium on the second floor of Sherman Hall. There was a lot of positive feedback on Suk-Young Kim’s presentation on K-pop and the Globalization of Korean Media. She spoke about what the “K” represented in K-pop in her own personal observations. This included kaleidoscopic pop, keyboard pop, kidult pop, korporate pop, and of course Korean pop. She went into each aspect with immense and detail and encouraged her audience to understand pop in a whole new way, not just through the music. She brought up specific examples using groups that many fans were singing along to during the presentation. “There was a clear cultural difference”, she explained, “from the past in Korea and America, to the present”. The “Teletubbies” generation, as she mentioned, was a truly interesting point. Thanks to us and our vast interest in social media, these idols are becoming more well known, and even more successful. Her presentation was extremely insightful and interesting to the students, and many of peers left with a completely new perspective on the world of Kpop.